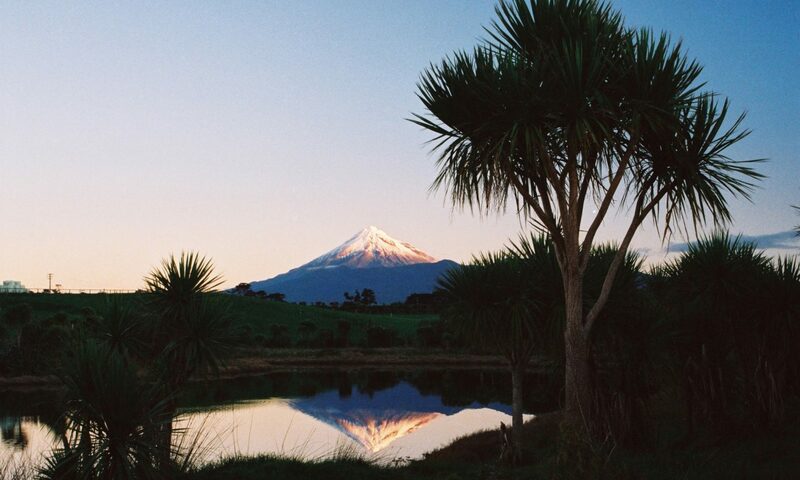 Taranaki is a verdant region located on the west coast of the North Island, half-way between Wellington and Auckland. Its landscape and weather are influenced by the regal presence of Mount Taranaki, which rises 2,518 metres above sea level. About 70% of the region's farmland is dedicated to dairy, and the region supplies 20% of New Zealand's milk. Taranaki enjoys abundant rainfall and is fortunate to have incredibly rich, volcanic soil. Taranaki is well known for large-scale dairy production followed by intensive poultry farming and beef and sheep grazing, which, along with the oil and gas industry, contributes to much of the region's wealth. It is a region well known for its gardens. Within these gardens is a hidden but rich food story that is not connected to commerce but rather the history of the region's proud and resilient people. Despite the 'big business' predominance, there is a small but growing movement of passionate entrepreneurs and growers who value small-scale, sustainable and ethical food production.